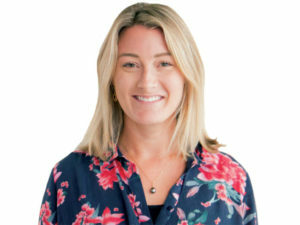 Katy Medlock, UK managing director at car sharing scheme Drivy, talks about the firm’s new service that enables fleets to hire out idle vehicles. What are the benefits of the scheme for fleets? For fleet owners, Drivy can provide the benefit of reaching a wider and larger demand than their own marketing might not ordinarily reach. Fleet owners listing on Drivy are able to rent their fleets without their customers needing to visit a bricks and mortar branch – thus reducing operational costs. The check in and check out is all on a mobile app. This also provides flexibility as fleet owners can make their cars available to rent closer to where the demand is – i.e. on residential streets rather than fixed branch locations. This in turn enables them to increase the occupancy rates for the cars and maximise revenue opportunities. There are also benefits with business support. We are one of the few car sharing companies providing insurance for our rentals. We also provide best practice and recommendations relating to fuel, maintenance, parking and location expertise. How many vehicles do you currently have in the UK? We have over 450 well-located cars in London. We are continually working with fleet owners to make sure their cars are placed in the best locations to meet hirer demand. What sort of technology do fleets need to install for the scheme? We recommend that professional owners install our Drivy Open technology, as in the UK we’re seeing this increases rentals seven-fold. In order to do this, we install a telematics device into cars, which enables car drivers who have a confirmed booking to complete the entire pick-up process for the vehicle with their smartphone without the car owner present. Most cars support this, but we do have a criteria that all cars listed on the platform are six years or younger. The Drivy website has a tool that allows owners to test if their car is compatible. It is also possible to list cars on the Drivy platform without the Drivy Open technology. How are vehicles opened if the Drivy Open tech isn’t used? When cars are not equipped with the Drivy Open tech, the car pick-up process is more similar to more traditional rental agencies. The owner and driver must be present to exchange keys, sign the contract then the car goes out for its trip – same again on return. This is a traditional peer-to-peer model that some of our business is still based on, however we are focusing more and more on professional supply. Is there any sort of incentive for fleets signing up to the scheme? What commission does Drivy take? We take a 15% commission and in some instances, there are bespoke sign-on incentives available. Do fleets set the rates themselves? Typically, yes, but we advise on prices based on time/date/location/type of car. Owners are in full control of prices but we set a minimum of £37 and maximum of £202 in the UK. Our platform has an algorithm that recommends a price for a vehicle that is uploaded – the owner is then able to choose if they price in accordance with this. Our account management team will also reach out to those who could better optimise their pricing and offer assistance..
Do fleets update the vehicles’ available times through the app? Vehicle availability can be set by the owner on the platform via the app or the website. Drivy keeps it very user-friendly and in favour of owners, giving them almost full control of every aspect of their cars and trips. It’s also very easy to set available times for different cars. Mileage, 24/7 roadside assistance from the AA and insurance by Allianz are included in the hire. How can hirers benefit from using the scheme? For hirers/drivers, we offer very affordable prices and cars that are located just around the corner. Car drivers also have the benefit of Drivy Open and Instant Booking cars – in this instance the car driver doesn’t need to wait around, do excessive paperwork or meet someone – they can just unlock the car with their smartphone and drive away. Can you say where the scheme will launch next in the UK? We will be open for both private and professional fleet owners to list their fleets on the platform across the UK from mid-May but will focus on one key city at a time.